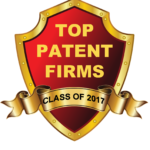 Firm updates and legal news pertaining to Patent and Intellectual Property law. 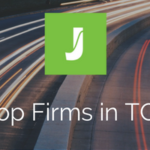 We’re pleased to be listed by Juristat as a Top 10 Law Firm in the TC 2600 for our expertise in prosecuting communications technologies applications. Technology Center 2600 handles communications generally, with more specific technological divisions including 3D animation, speech processing, digital cameras, and alarms. Its average allowance rate is 74.1%, which is in line with the USPTO average of 72%. However, several firms do much better than that. 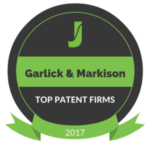 In total, Juristat studied all patent applications filed by their clients that have reached a final disposition over the course of the year. Their analysis showed that, when the practitioners used a Juristat report or analytic, their applications were allowed 78.7% of the time, while their applications were allowed 68% of the time when they did not use Juristat. The significance of the difference between the two groups is apparent — a higher allowance rate can translate to greater client satisfaction and increase the likelihood of repeat representation. 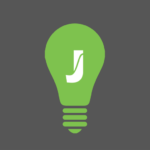 Their analysis also showed that Juristat clients lost fewer claims between publishing and allowance, had greater success on appeal, and reached allowance faster when they used a Juristat report or analytic. To learn more, visit www.juristat.com.